Information and Resources Useful for Researching and Visiting Panama. If you know of a link that should be included here, please let us know! These are certainly not the only blogs out there. These are just some I know about, and many of the authors are also personal friends. Expats in Panama - busy, informative, well run, and friendly group with answers to about anything. There is a search feature to access past discussions. One Travel Panama - tour packages or individualized services. They have staff who speak English and are working on an English version of the website. Barefoot Panama - city tours, eco tours, adventure tours, or build your own tour. English spoken. 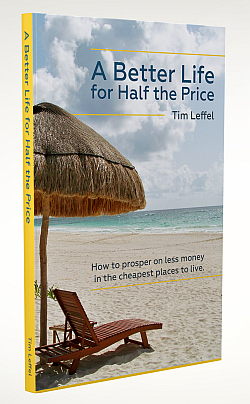 A Better Life for Half the Price by Tim Leffel - excellent guide with very realistic information about a variety of places where you can cut your living expenses by at least half. Duolingo - free, on line. Check out this fascinating TED Talk about how they came to be. Groupon - more deals and discounts. If you have any additions, requests, or suggestions please go to the Contact Us page and let us know!